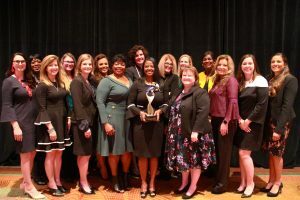 The Greater Shreveport Chamber of Commerce Business Development Connection honored Dr. Rosaline Michelle Caldwell today as the 2018 ATHENA Leadership Award recipient. Dr. Caldwell currently serves as the pediatric surgery nurse practitioner for Pediatric Surgical Associates at Willis-Knighton South Hospital. She has been with Pediatric Surgical Associates for 13 years and has over 21 years of experience providing care to acutely and chronically ill pediatric patients. Additionally, she serves as an adjunct faculty member for the Graduate School at Northwestern State University. Dr. Caldwell commits her time to promoting health and wellness in the community. The constant rise in obesity, heart disease, and diabetes has catapulted her into a community educator on living a healthy lifestyle. She has also published six peer-reviewed medical journal articles, is a content reviewer for the 3rd edition of Nursing Care of the Pediatric Surgical Patient, as well as the Journal of Pediatric Surgical Nursing. She is a regular speaker on the local, regional and national levels. Dr. Caldwell was selected from amongst 16 accomplished honorees including: Laura Alderman, Sheena B. Bryant, Andrea Butler, Rhonda D. Butler, Kelli Dauphin, Meagan Davenport, Joanna Folse-Alexander, Sarah Giglio, Verni Howard, Angelita Jackson, Valarie Jamison, Robin Jones, Suanne McConathy, Donna Otwell, Susannah Poljak. For 28 years, the Greater Shreveport Chamber has awarded the International ATHENA Leadership Award to a woman or man to honor their attainment of the highest level of professional excellence by showing creativity and initiative in their business or profession; to showcase their devotion, time and energy to improve the quality of life for others in the community in a meaningful way; and to demonstrate how they have opened doors for other women to achieve their full potential. 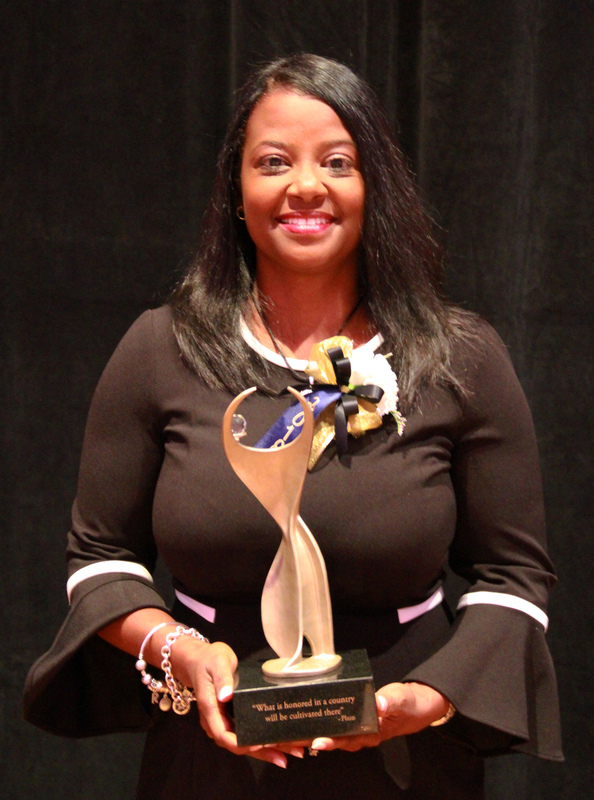 In total, over 450 people from Shreveport-Bossier have been ATHENA honorees, and Dr. Caldwell is the 50th ATHENA International Award Recipient from our area. Her name will be added to the long list of outstanding professionals from across the globe who have been honored for their dedication to community service, professionalism and female empowerment.